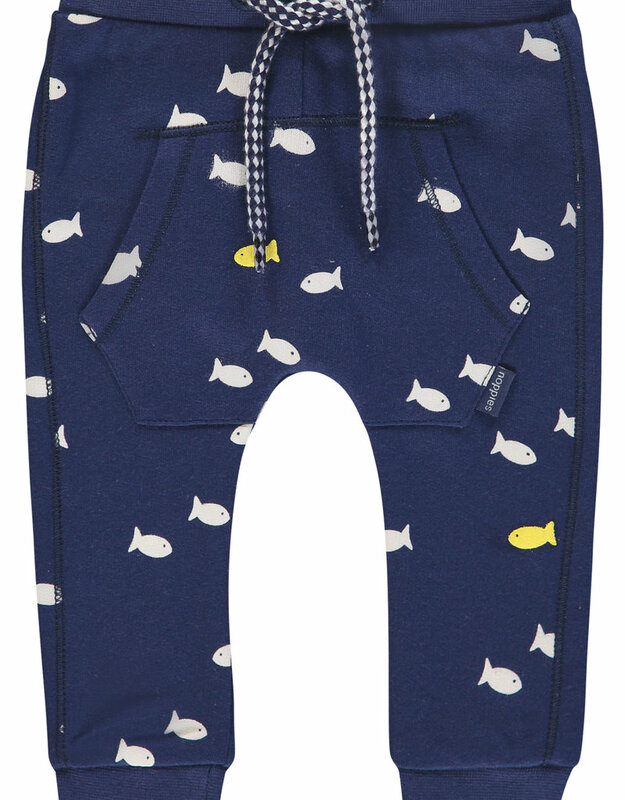 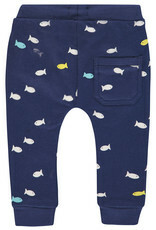 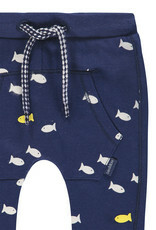 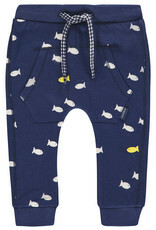 Noppies baby boy fish joggers have a front pocket and comfortable fit. 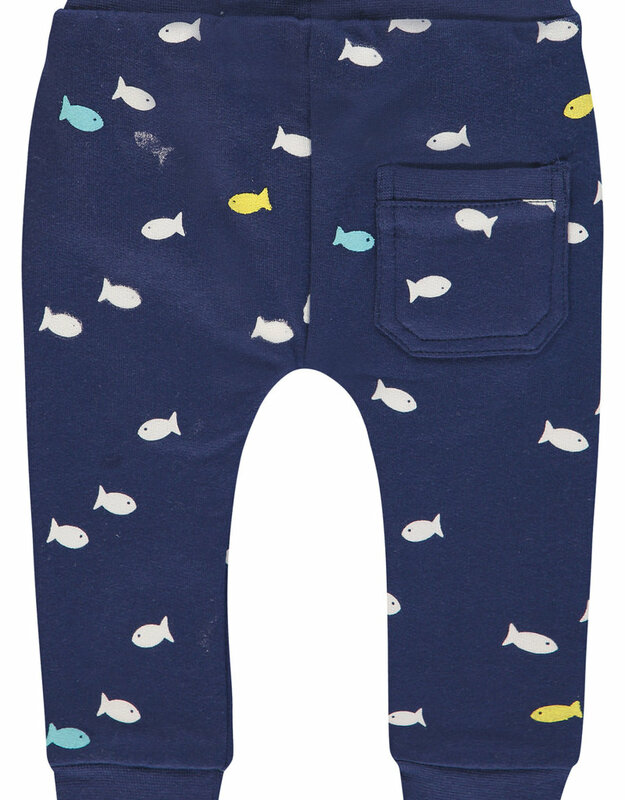 These joggers match perfectly with Noppies Whale Tee and Aqua Splash Top. 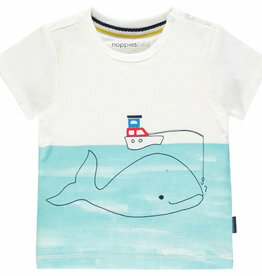 Noppies baby Whale Tee is made of soft stretch cotton, allowing your baby freedom of movement. 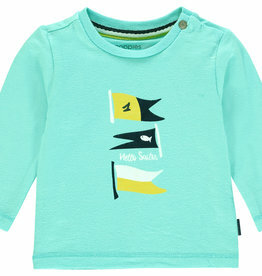 Noppies baby Aqua Splash Top is made of supple cotton. 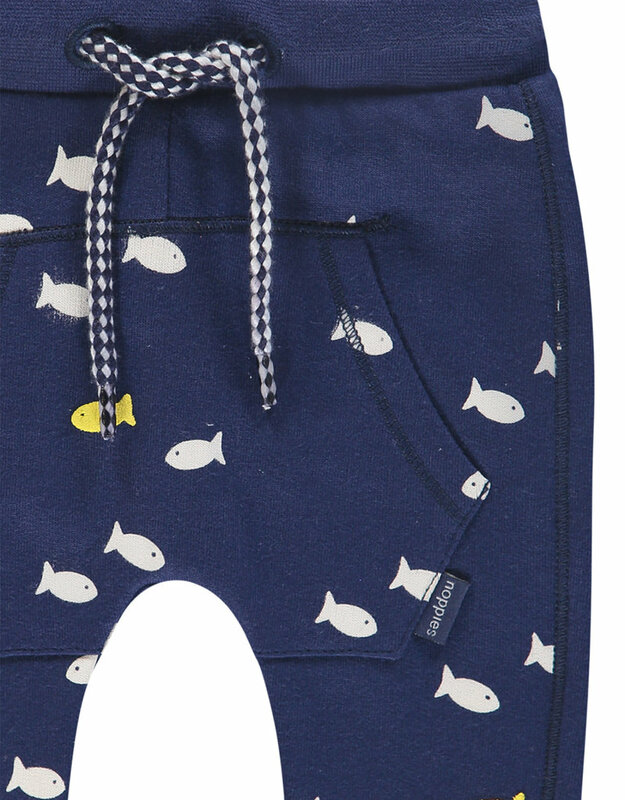 The added stretch makes the top wonderfully comfy to wear.